NEW YORK (Oct 3): All the three US stock indexes touched fresh record highs on Tuesday, driven by gains in Ford Motor and General Motors after the carmakers reported strong monthly sales data. The rise in Ford and General Motors helped lift the S&P 500 Consumer Discretionary sector. Analysts had forecast September auto sales to be the highest in 2017, largely due to Americans in hurricane-ravaged cities replacing their damaged vehicles. However, the market traded in a narrow range as investors awaited the upcoming earnings from big names to help justify the lofty valuations. Third-quarter earnings for S&P 500 companies are expected to increase 6.2 percent from a year earlier, according to Thomson Reuters research, after rising a better-than-expected 12.3 percent in the second quarter. 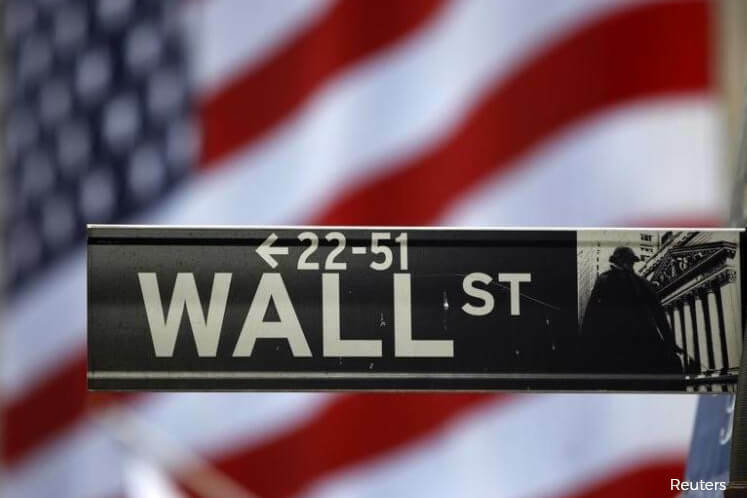 US stocks started the fourth quarter on a strong note on Monday after factory data pointed to underlying strength in the economy. The encouraging data helped world shares touch their latest record highs on Tuesday, while lifting the dollar to its loftiest in 1½ months. "This year has been one of the strongest year ever, not from a percent gain standpoint, but from a lack of the correction or lack of a pullback," said Adam Sarhan, chief executive of 50 Park Investments in New York. "So to me, the market is cautiously optimistic." Investors are also watching out for progress on President Donald Trump's tax reform plan, which calls for lowering corporate tax to 20 percent. Billionaire investor Warren Buffett told CNBC on Tuesday that the odds of getting a tax plan passed are higher than what most people expect, but expressed uncertainty over the reforms. Seven of the 11 major S&P indexes were higher on Tuesday, led by technology, healthcare and consumer discretionary. At 9:45 a.m. ET, the Dow Jones industrial average was up 28.34 points, or 0.13 percent, at 22,585.94, while the S&P 500 was up 0.23 points, or 0.01 percent, at 2,529.35. The Nasdaq Composite was up 5.61 points, or 0.09 percent, at 6,522.33. Shares in Tesla Inc were down 2 percent after the luxury electric vehicle maker said its planned ramp-up for the new Model 3 mass-market sedan faced production bottlenecks. Lennar Corp's shares rose about 2 percent following a higher-than-expected quarterly profit from the No 2 US homebuilder. Tile Shop Holding's shares plunged 30 percent after the natural stone retailer scrapped its 2017 forecast. Declining issues outnumbered advancers on the NYSE by 1,278 to 1,265. On the Nasdaq, 1,314 issues rose and 1,069 fell.